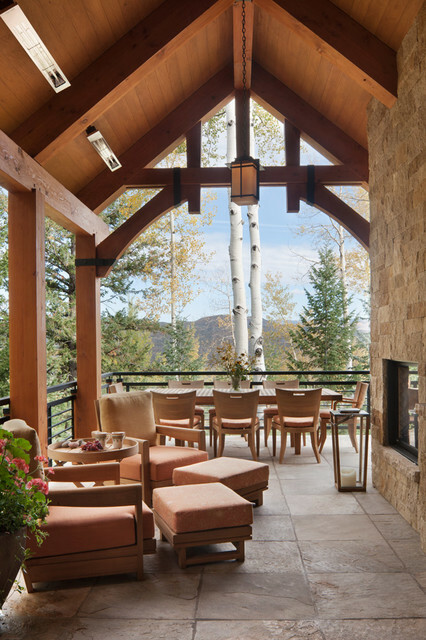 Colorado Ski House - Rustic - Balcony - Philadelphia - by Patricia Gorman Associates, Inc. Interesting. We could put a really TALL roof over? ?